Water is very essential to stay hydrated and is highly beneficial in weight loss. By drinking sufficient amount of pure water you feel full throughout the day and do not have the urge to consume coffee or high calorie snacks. If you have one glass of water half an hour before the meals, you can avoid overeating. Drinking one glass of warm water after meals help in digestion. Wow! Amazing! 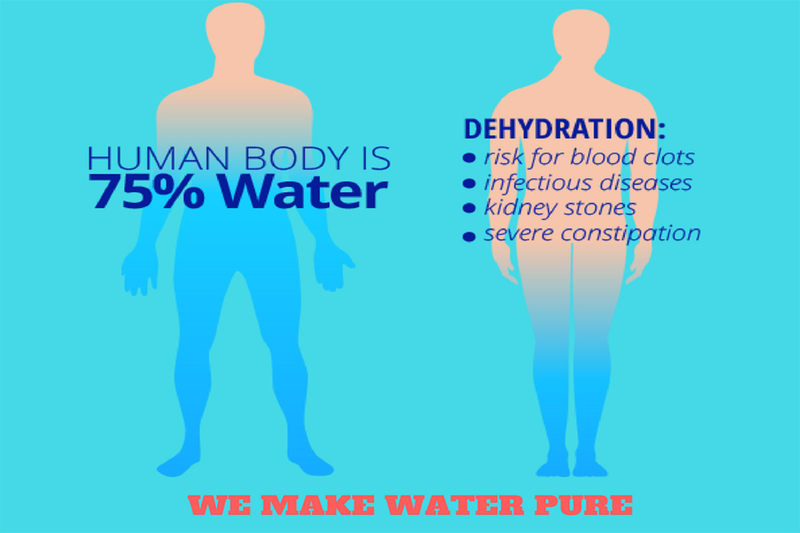 Pure water is a wonder liquid or a magic elixir that aids in shedding extra flab. Now we know the role of pure water for our body. Besides that we need to cut-back on certain drinks to get the benefits of water. Do not drink sweetened or carbonated drinks like sodas, alcohol, beverages, smoothies etc. to quench your thirst or for taste. Water is the best substitute as it spares you hundreds of calories per day. If you combine your salty​ diet with adequate quantities of pure water, you can lose water weight quickly. 3. Consuming pure water will prevent muscle cramps and keeps your joints lubricated for longer work out. By drinking pure cold water you can increase your metabolic activities which causes increase in energy expenditure. Following a water detox diet at short regular intervals will help to eliminate toxins from the body and reduces bloating. This diet includes consuming foods which are naturally high in water like watermelons, soups, cucumbers, green leafy vegetables etc. Water is naturally packed with many essential and critical nutrients which are important for growth, development and good health of body. In fact, all the reactions taking place in our body are possible due to the presence of water. If you are fond of working-out at gym or perform heavy exercises it becomes all the more significant to keep yourself well hydrated else your stamina, strength and endurance will decrease. So drinking pure water is crucial to avert the risk of water-borne diseases which could occur due to consumption of ‘any available water’ and lead to some serious consequences. Since pure water is a universal solvent and dissolve more compounds than any other liquid it is also wonderful to cleanse our body system. The ideal water should be slightly alkaline and contain essential minerals like magnesium, calcium etc. to get its benefits. Drinking adequate amounts of pure water should be your daily regime because it not only helps to reduce weight but also improves your skin tone. So, the easiest way to shed your extra fats is by drinking pure water as it is a calorie-free drink. It helps to maintain body fluids, decrease the risk of diseases, boost your metabolism, keeps your joints strong and flexible, moisturize your skin and keep it glowing. So, be alert and don’t compromise on water quality as it will do more harm than good. 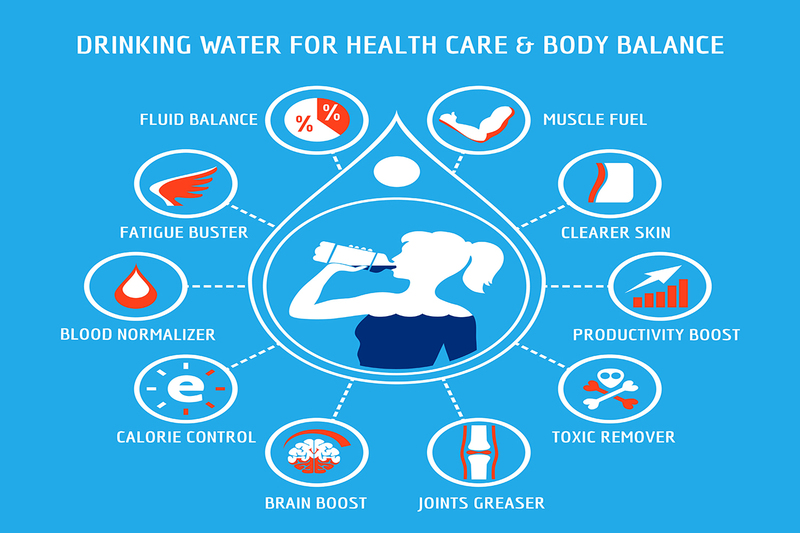 If need be get a good quality water purifier installed so that you can enjoy the benefits of pure water and reduce your body weight in a healthy way.